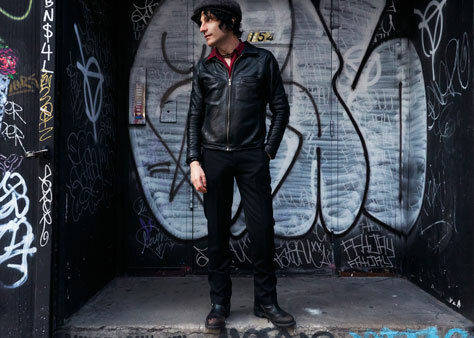 We’re delighted to be working with Jesse Malin for the first time – performing his solo debut album, The Fine Art of Self Destruction. Originally released in 2002, Malin’s classic solo debut The Fine Art of Self Destruction was released by One Little Indian Records in the UK and went on to sell over 20,000 albums here. It was reissued on double CD with sleeve notes by The Gaslight Anthem’s Brian Fallon two years ago and his UK and Irish shows will be the first time it has been played in its entirety. Tour support comes from Stephen Chopek. Since relocating to Memphis, TN from his longtime home of Jersey City, NJ in 2014, Stephen Chopek has embraced many new things, not the least of which is the sense of spontaneity that is pervasive throughout the current crop of Memphis musicians. From seemingly every artist lending their talents to bands they don’t front to the ever-germinating and cross-pollinating of jams, album sessions, and one-off shows, the City’s sense of musical camaraderie and damn the torpedoes musical atmosphere is what most informed Chopek during the creation of his third full-length album, Begin the Glimmer. An admittedly patient songwriter who turns every bolt while crafting his music, tightening, reshaping and honing his songs time and again until he deems them ready for wide consumption, Chopek approached Begin the Glimmer with an eye toward the impetuous, the unrehearsed. ;I just wanted to be less precious with the performance,’ says Chopek, noting how, while the songs were written with deep focus and workmanlike intention, the performance that would be committed to tape would be off-the-cuff. Culling a batch of ten songs that were heavily influenced by a steady diet of Guided By Voices, Talking Heads and The Replacements, Chopek decamped to Memphis’s 5 and Dime Recording, himself playing every instrument on the album.